In addition to the Hot Stove, baseball warms up the winter months with Hall of Fame debate. From the time the ballot is released until the votes are counted in early January, arguments are made for and against various candidates, often with a considerable degree of disagreement and usually with some form of exaggeration. As a result, for those players on the borderline, the process can be somewhat demeaning. This year, Bernie Williams is making his first appearance on the ballot, and judging by popular sentiment, he isn’t likely to come close to enshrinement. Although Williams’ case deserves much closer scrutiny than many seem willing to give, as a borderline candidate, there really is no right or wrong answer regarding his candidacy. With that in mind, it seems more appropriate to consider the best players who are not in the Hall of Fame instead of trying to determine which of them actually belong. At the Baseball: Past and Present blog, Graham Womack recently completed a survey based on exactly that premise. For the second straight year, Womack polled an electorate made up of baseball writers and researchers and compiled the results into a ranking of the 50 best players not in the Hall of Fame. Included in this baseball version of purgatory were several players who spent most of their careers in pinstripes, prompting a further question: who are the 10 best eligible Yankees without a plaque in Cooperstown? 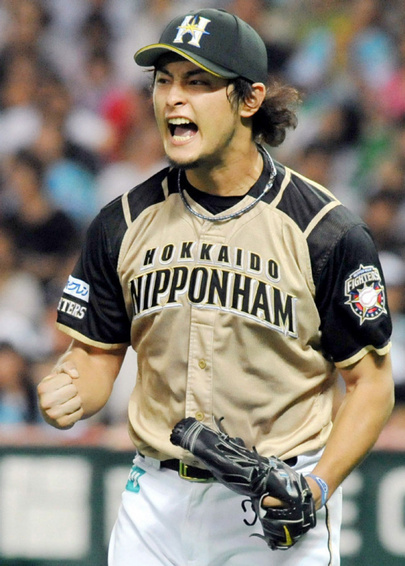 Yu Darvish may not becoming to America after all. Instead, Canada may be his destination. Several sources have identified the Toronto Blue Jays as the team that cast the winning bid in the Yu Darvish posting process. If true, it really shouldn’t come as much of a surprise because the Blue Jays have gradually increased their focus on international signings, including the much heralded acquisition of short stop Adeiny Hechavaria in 2010. For much of the last decade, the Blue Jays have been mired in mediocrity, hovering around the .500 mark in the rough and tumble A.L. East. Although the team hasn’t made much of a dent in the standings during this period, the organization has gradually taken steps that could soon allow it to stand up against the big boys. In addition to being aggressive in the international free agent market, the team has also been adept at cultivating draft picks and making astute acquisitions of both talented cast offs (Yunel Escobar, Colby Rasmus and Jose Bautista come to mind) and prospects with high potential. However, some of the most important moves made by the Blue Jays have been subtractions, not additions. Could Sale of Mets Threaten Yankees’ Empire State of Mind? 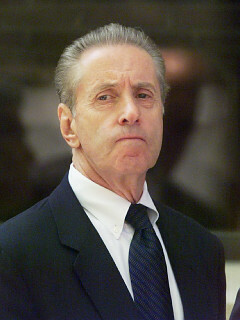 Recent times have not been kind to Fred Wilpon. The last five seasons haven’t been very kind to the Mets. Whether on the field or in the board room, the team has been besieged by a myriad of unfortunate circumstances ever since Carlos Beltran was mesmerized by a Adam Wainwright curve ball to end the 2006 NLCS. Not surprisingly, the Mets’ hardship has led to much ridicule, particularly from the less compassionate segment of the Yankees’ fan base. Despite the dark days still ahead, however, there is every reason to think the Mets could still have the last laugh. In the three years since Bernie Madoff’s massive securities fraud was uncovered, Fred Wilpon has been desperately trying to maintain his hold on the New York Mets. Despite insisting at the time that the scandal would have no impact on his ownership of the team, subsequent events have proven otherwise. Since that time, which, unfortunately for the Wilpons, coincided with poor play on the field and a corresponding decline in revenue, the current ownership group has relied on debt to remain afloat. According to a recent report in the Daily News, those loans are about to come due. Despite Fred Wilpon’s fervent desire to remain as majority owner of the Mets, the prospect of looming debt payments and even further deflated revenue in 2012 could soon force his hand (while creditors, and perhaps even the commissioner, slowly pry loose his fingers). As Frank McCourt has learned with the Dodgers, the weight of debt can become too much of a burden, especially when the alternative is selling out and making a handsome profit. One-Timers: Does Pujols’ Exodus Mean Loyalty Is Dead in Baseball? 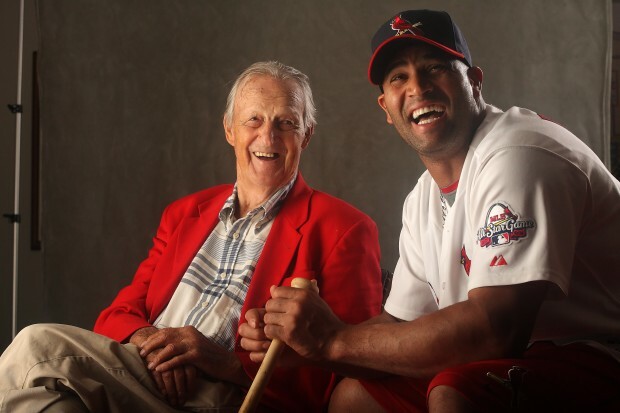 Albert Pujols was supposed be the next Stan Musial: a lifelong Cardinal who would represent St. Louis baseball with awesome talent on the field and admirable dignity of it. Over the past decade, the succession from Stan the Man to Prince Albert seemed so natural, as if both men descended from the same line of baseball immortals. Now, however, there are over 250 million reasons why it won’t happen. You can debate whether Pujols or the Cardinals undervalued the importance of legacy, or whether it is even important at all, but, regardless, the fact that Albert Pujols will not retire in St. Louis has been the cause of great lament. According to the common woe, the days of players spending their entire careers with one team have become a thing of the past. Gone is the purity of loyalty, and its place, the greed of business has taken hold. But does such sentiment reflect reality? Have modern baseball players cast loyalty aside in favor of chasing the very last dollar? Is the Marlins’ Hot Stove Spending a Prelude to Another Fire Sale? During the winter of 1996, the Florida Marlins shocked the baseball world and altered its financial landscape by spending almost $90 million on new players, including $18 million per season for Moises Alou, Bobby Bonilla, and Alex Fernandez. Fifteen years later, the now Miami Marlins are at it again. Days after celebrating the Marlins’ World Series championship in 1997, owner Wayne Huizenga began dismantling the team. Two days after signing Heath Bell to a three-year, $27 million contract, the Marlins also reeled in Jose Reyes, who was inked to a six-year, $106 million deal. The combined amount owed to both men in 2012 is almost 30% more than the team paid its entire roster just four seasons ago. And, if rumors are correct, the team isn’t done spending yet, with several impact names like C.J. Wilson, Mark Buehrle and even Albert Pujols reportedly still in play. 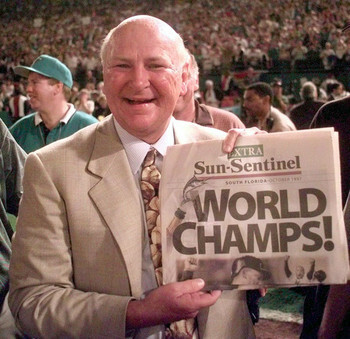 Wayne Huizenga’s lavish Hot Stove spending resulted in a World Series title in 1997, but the championship was largely overshadowed by the fire sale that followed shortly thereafter. Almost immediately after Edgar Renteria’s game winning base hit in game seven bounced past the outstretched glove of Tony Fernandez, the Marlins began slashing payroll. Huizenga cited mounting financial losses for his decision to dismantle a championship team, but subsequent analyses suggested the 1997 Marlins were profitable and the fire sale was nothing more than part of a plan to sell the team. It’s impossible to say how much Huizenga’s decision stunted the growth of baseball in South Florida, but the team’s attendance has never come close to the 2.3 million fans who watched the team in 1997. 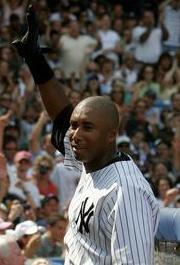 Could Steroids Push Bernie Williams’ HoF Candidacy Over the Borderline? 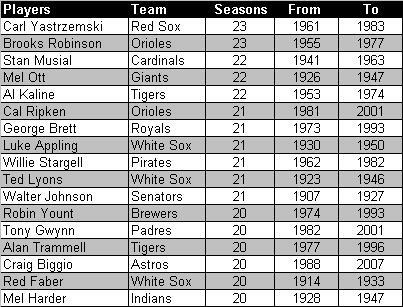 Thirteen new candidates have been added to the 2012 Hall of Fame ballot, but none have overwhelming credentials, which should bode well for Barry Larkin, Tim Raines, and Jeff Bagwell, three eminently deserving players snubbed by last year’s voting. However, it seems as if one of the new eligible players is being written off much too quickly. That’s really nothing new for Bernie Williams, whose career would have never gotten started had he yielded to those who dismissed him. Bernie Williams’ Hall of Fame campaign faces an uphill battle on two fronts because he appears like a borderline candidate to both the traditional and sabermetricly-inclined factions of the electorate. On the one hand, the older members of the BBWAA are likely to balk at Williams’ relatively deflated counting stats, while those voters in tune with the latest sabermetric trends might be swayed by his less than eye-popping WAR. Both first impressions are worthy of a second look. Note: Includes Hall of Famers who played at least 50% of total games in centerfield as well as Bernie Williams, Ken Griffey Jr., and Jim Edmonds.